Black Line inspired by her life experiences radiates sensuality and power. With works like The Rebirth of the Black Venus or Desarming Mars, Billie comes out even more aware as a triumphant African woman, conscious of her roots and fully in touch with her environment. 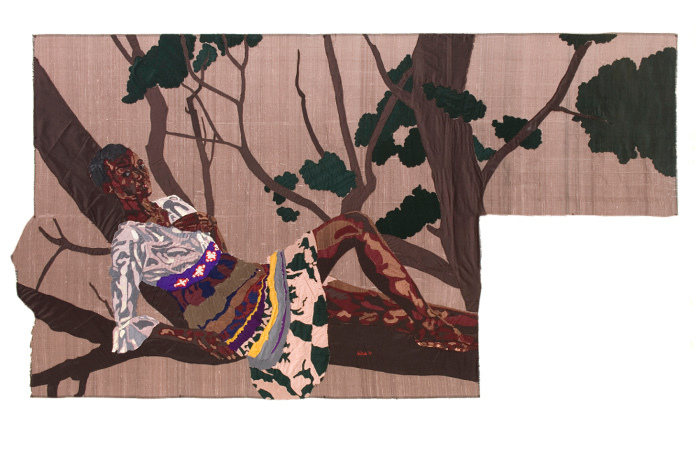 Her intimate universes meet the public realm in daring and original silk tapestries with strong narratives and presence.